20-something YoPro. Fan of pop culture, puppies, politics, and pinot. Though the Digital Divide is decreasing in certain groups, one stark division remains: states with the lowest number of internet users often have low voter turnouts. According to a recent report from HighSpeedInternet.com, Wisconsin, New Hampshire, Maine, Massachusetts, and Washington all fall in the top ten states for both voter turnout and internet users. On the flip side, West Virginia, Oklahoma, Texas, Arkansas, and New Mexico all fall in the bottom ten for those same categories. There isn't a single, simple reason behind this trend, but there are a few key factors that could cause some states to see some correlation between poor voter turnout and internet access. 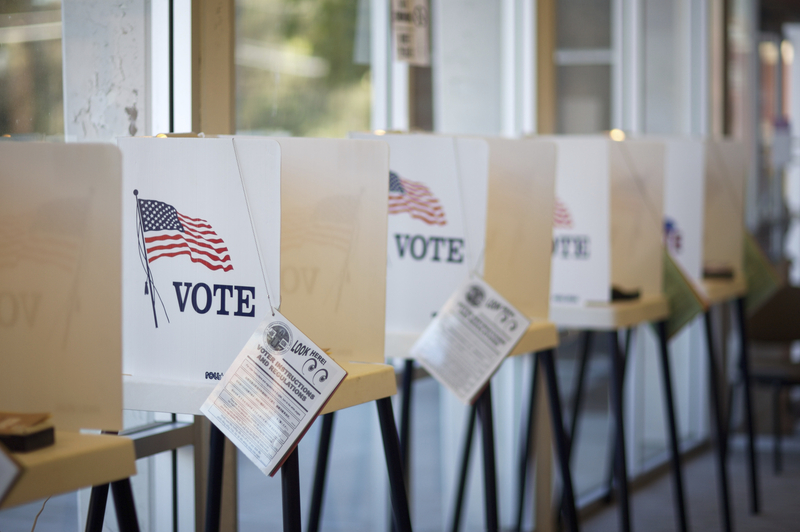 Here are three big internet-related issues that could contribute to low voter turnout--and a look at what states can do to remedy those problems. The states with the worst broadband access are also some of the poorest states in the country. Four of the five states with the worst voter turnout and internet access are also in the bottom thirteen of the poorest states in America. Meanwhile, three of the states with the highest voter turnout and the best internet access rank in the top eleven richest states in the United States. Considering that the average monthly internet bill is $50 in the United States, it comes as no surprise that cost is the main reason non-broadband users won't sign up for an internet connection. And when populations have such limited access to the Internet, they also have limited access to campaign data and fact-checking resources. What states can do: Improve internet affordability for low-income residents. The Federal Communications Commission (FCC) has recently announced an internet subsidy for low-income users to combat the unequal access between the rich and poor. States should follow that federal lead and make efforts to subsidize internet plans--and publicize those subsidies. Leaders on the state level can also back net neutrality, President Barack Obama's strategy for an equal and open internet. Broadband experts have further argued that the monopolized telecommunications industry in the United States--which is controlled by a few major companies where competition is small--is damaging internet access in America. Taking action against those market practices could have the added effect of increasing user access to information, including data on candidates and campaigns. When internet time is limited, so are the tasks that can be completed. It's unlikely that all individuals with little or no internet access would prioritize candidate or platform research. Social media, however, is a different story. Today, more adults are using social media than ever before--65%, in fact. And while high-income users are definitely more prevalent on social media, more than half of those making less than $30,000 per year are also active on social media. Further, social media is often highly mobile, making it easily accessible to the 7% of Americans who can only access the internet via smartphone. What states can do: Spark voter turnout by getting candidates online on the channels frequented by low-use populations. States should encourage local political figures to use social media accounts to share timely political updates with their constituents. Forty-one percent of voters say a big reason they follow political candidates on social media is for breaking news--they want to find out about political happenings before others do. Elected officials can satiate this desire for up-to-date political information by simply sharing more on the channels frequented by those with limited internet access. A major reason many low-income Americans don't have internet access is because they live in rural areas with sparse internet infrastructure. That lack of access causes a couple of problems. First, as mentioned above, no internet means limited access to candidate information. Beyond that, it also has problematic implications for the physical logistics of voting. Those who live in remote areas--far removed from community resources--may not have easy access to details about polling or registration locations, for instance. It's even more frustrating considering that rural residents who live far from polls stand to gain a lot from connective technologies like online registration and voting. What states can do: Push for better internet solutions in rural areas. With the evolution of 5G internet technology, it may be possible to deliver high-speed internet without extensive cable or fiber networks. And if providers can deliver internet wirelessly, the installation expenses--and the overall costs--could decrease as well, making it easier to access the internet and the logistical information it holds. There are critical actions state leaders can support to decrease the Digital Divide and increase voter turnout, especially among populations most likely to be impacted by the upcoming election. Where does your state stand in the discussion?